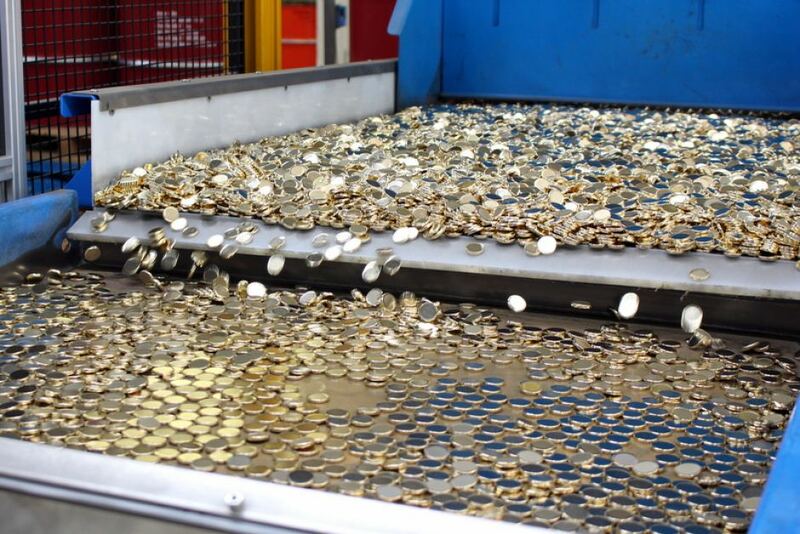 Since U.S. Mint announced the launch of the American Innovation $1 Coin Program there has been nothing but complaints from the community about the coin. According to the law (Public Law No: 115-97), “The common design on the obverse of each coin issued under this subsection shall contain a likeness of the Statue of Liberty extending to the rim of the coin and large enough to provide a dramatic representation of Liberty.” With the U.S. Mint under a short deadline because of when the bill became law (July 20, 2018), there were a number of disagreements with the Citizens Coinage Advisory Committee regarding the obverse design of the coin. 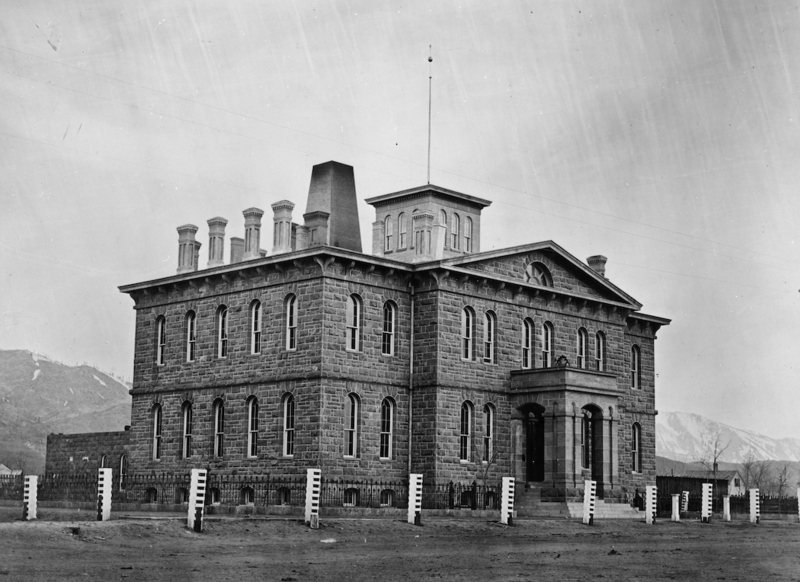 The U.S. Mint tried to modify an old design but the CCAC did not like that. Eventually, the design from Miss Liberty’s left side was used. It has turned out to be an elegant design that does not duplicate any previous one. She stands on the coin as stately as she stands in New York Harbor, extending from rim to rim as required by law. For once, the CCAC and I agree on a good design. But that is not enough for some people. The design is too plain. The reason why the coin appears plain is that two elements that could have been on the obverse, the date and motto “E Pluribus Unum,” are on the edge of the coin. 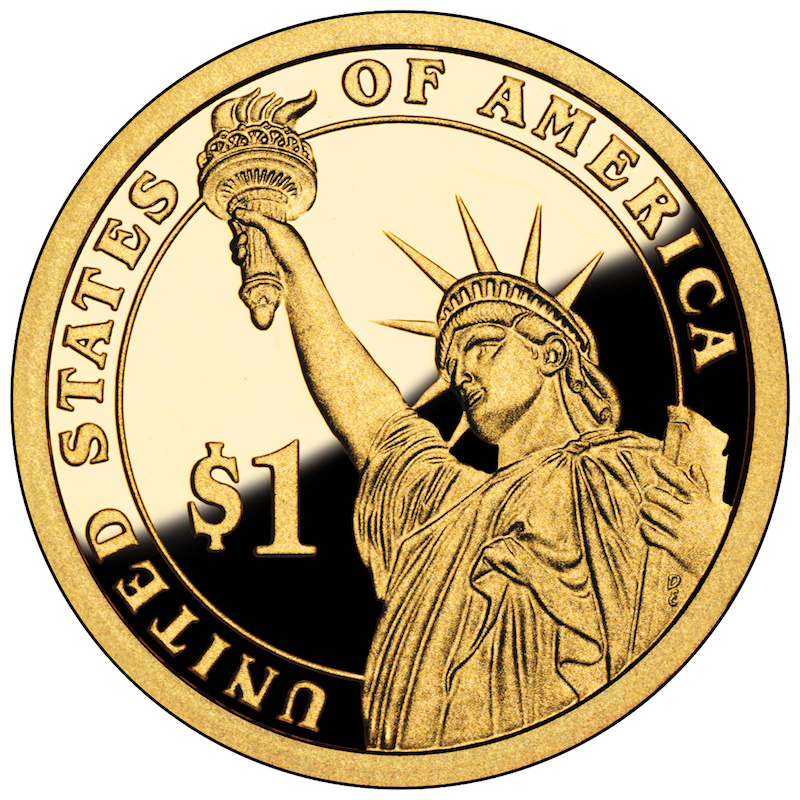 Edge lettering for the $1 coins began in 2007 with the introduction of the Presidential $1 Program. 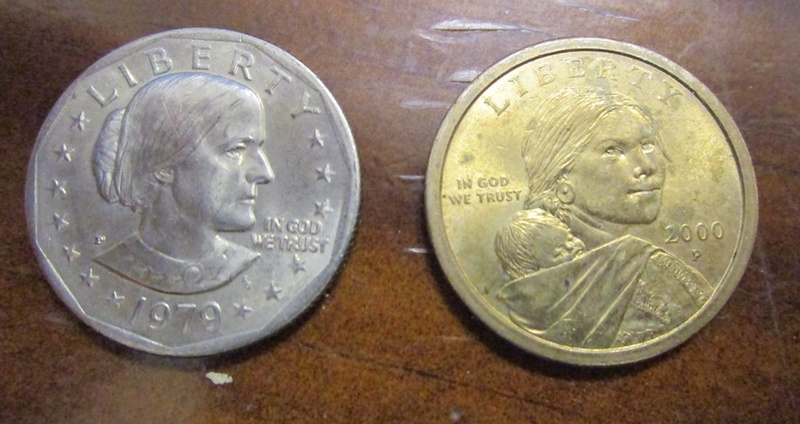 It was decided to move these elements, along with “In God We Trust” to the edge because the obverse was to include the years of the president’s term. 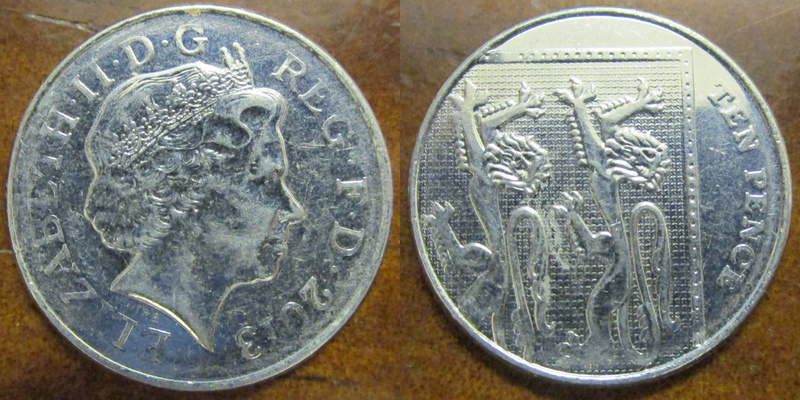 Aside from providing more space for the design, relocating the date would prevent potential confusion as to the date of the coin. “In God We Trust” was restored to the obverse of the coin in 2009 after striking errors caused the edge of the coin to be blank. This caused overzealous conspiracy theorists and the gullible believing that this was done purposely against the religious communities. Some argue that since the conditions have changed, the coin should not have edge lettering. Aesthetically, the obverse design was well executed. It would be how the statue would look if you were standing in Battery Park located at the southern tip of Manhattan, and looked across the water on a clear day. There should be no reason to change the design. However, there is a problem with the edge lettering in that it makes it difficult to see. As someone who has reached the age where an annual eye exam is a requirement and “corrective lenses” is now a permanent fixture on my driver’s license, having the mintmark on the edge requires me to use magnification to find the mintmark. As a member of the Baby Boomer generation whose glasses seem to get stronger every year, I would be in favor of moving the date and mintmark to the obverse of the coin. But if the problem is only aesthetics, then I have no problems with having to use a 16x loupe to help identify where the coin was struck. Later today, the U.S. Mint will have a ceremony to begin the American Innovation $1 Coin Program. 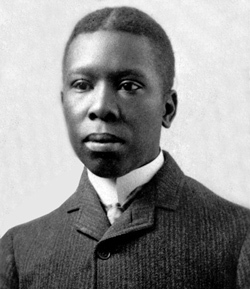 The ceremony is scheduled for 11:30 am at the U.S. Mint’s headquarters at 801 9th Street NW in Washington, D.C. The American Innovation $1 Coin Program will issue four dollar coins a year in recognition of the significant innovation and pioneering efforts of individuals or groups from each of the 50 States, the District of Columbia, and the United States territories. Coins will be issued in the order that the states entered the union followed by the District of Columbia, Puerto Rico, Guam, American Samoa, the U.S. Virgin Islands, and the Northern Mariana Islands. 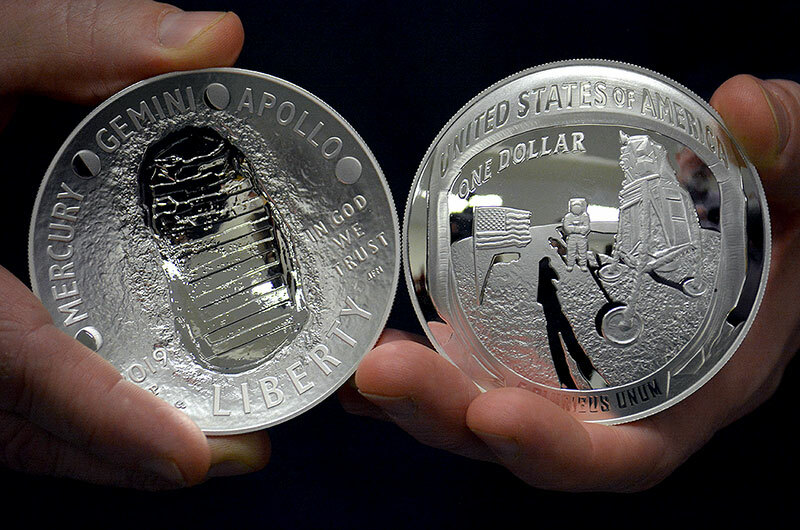 As allowed by law (Public Law 115-197), the U.S. Mint is producing an introductory coin for the program that will be presented as part of the launch. The obverse of the coin, which will be featured throughout the series, is a view of the Statue of Liberty in profile. The view of the upper third of her body with the torch extended to the edge of the coin with a plain background gives the image a quiet elegance that is not usual for a U.S. Mint design. It was designed by Justin Kunz of the Artistic Infusion Program with credit to the Citizens Coinage Advisory Committee for pushing the U.S. Mint to come up with something different. The reverse design of this introductory coin provides hope that the future of this program will not be mired in trite designs. 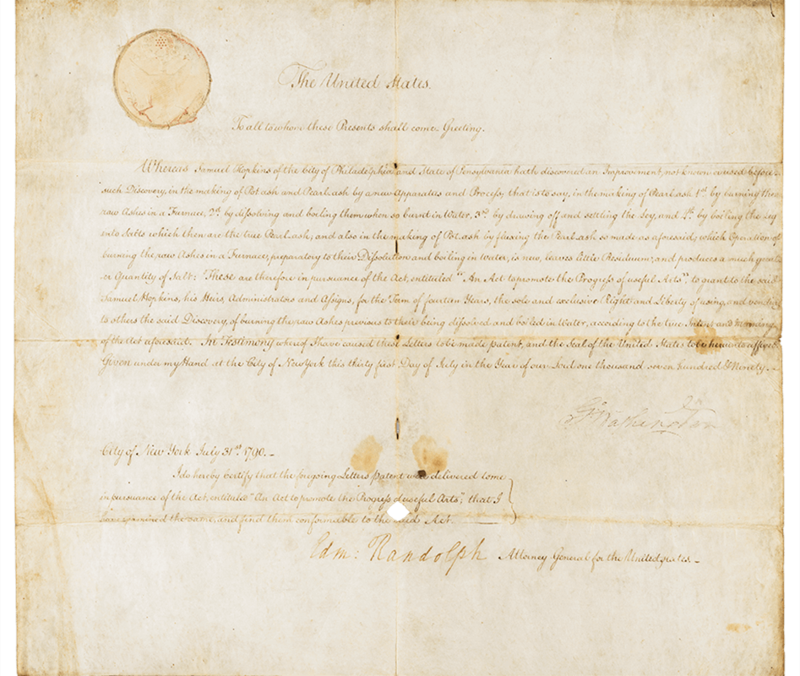 It honors American Innovation by recognizing the first U.S. patent signed by President George Washington that was issued to Samuel Hopkins on July 31, 1790, for developing a process for making potash. The gears representing innovation appears next to Washington’s autograph. The year, mint mark, and E PLURIBUS UNUM (Out of many, one) will appear on the edge of the coin as it does with all $1 coins since 2007. Although it is a fantastic design worthy of a collection that includes the Native American Dollar designs, it will have the same impact as all dollar coins issued in the 21st century. It is a coin that will barely circulate and will not grab the attention of the U.S. public without its circulation. Even though Congress creates these programs and has been told that this program will be a failure because the coins will not circulate alongside the paper dollar, they continue as if nothing is wrong. Even the Government Accounting Office, their own agency that helps with investigations and oversight of the federal government, has recommended eliminating the one-dollar note. I will collect these coins as I have done for all of the special series introduced in the 21st century. But I will not be as enthusiastic about this series as I should be until something is done to make these coins circulate. On July 20, 2018, the president signed the American Innovation $1 Coin Act to become Public Law No. 115-197. 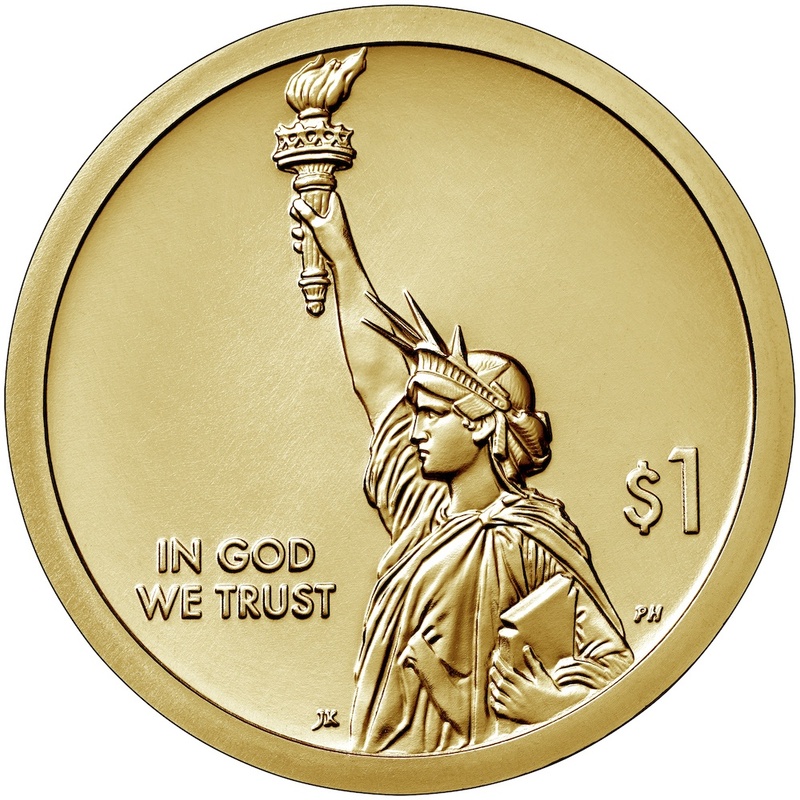 Beginning in 2019, there will be four dollar coins issued where the obverse will be “a likeness of the Statue of Liberty extending to the rim of the coin and large enough to provide a dramatic representation of Liberty.” The reverse will be emblematic of an innovation, innovator, or a group of innovators significant to that state or territory. The dollar coins will use the same Manganese-Brass composition as all dollar coins struck since 2000 with the edge lettering consisting of the year, mintmark, and the national motto E PLURIBUS UNUM. The American Innovation $1 Coin will be issued in the same order as the 50 State Quarter Program, the order the states entered the union, followed by the District of Columbia and U.S. Territories. On June 20, 1988, the Royal Australian Mint replaced its two dollar currency note with a coin. This year, they are celebrating the coin’s 30th anniversary. It was introduced four years after replacing the dollar paper note with a coin (1984). Similarly, the Royal Mint introduced the one-pound coin in 1983 and the Bank of England stopped issuing one-pound currency in 1984. The Royal Canadian Mint introduced the dollar coin, nicknamed the Loonie, in 1987 while the Bank of Canda ceased issuing the paper dollar. The euro entered began circulating as a continental currency beginning in January 2002. When it was introduced, they issued one- and two-euro coins and the lowest denomination paper currency was the 5 euro note. According to the International Monetary Fund, after the United States, the European Union has the world’s second largest economy even though it is not ranked as a country. When considering countries, the second largest economy is China followed by Japan, Germany, and the United Kingdom. Canada is the world’s tenth largest economy. Of the Top Ten, only the United States and China issue their unit currency as paper. However, because of economic controls and exchange rate, most of the Chinese economy is based on the Renminbi (the People’s Money). Small change is popular in urban areas and paper is more common in rural areas. But the Chinese economy is heavily regulated within the country. Of the Top 20 economies identified by the International Monetary Fund, only the United States and China issues its unit currency as paper notes. Most countries issue a note of two of their base units and many are considering replacing their five unit note with a coin. Yet the United States, the country with the largest economy on earth, the one that people say should be the leader lags behind every country except China by producing a one dollar paper note. The lack of paper currency has not hurt these other economies. In fact, it helps because coins last longer than paper currency. Also, it is better for the government because, for every one-dollar coin produced, the government makes 68-cents in seignorage (with the dollar coins costing an estimated 32-cents each to produce). Replacing paper mone with the coin does not seem to have hurt other economies, yet the issue raises the ire of some who wants to call this a conspiracy against the people. It makes economic sense to move in this direction and should we not be all in favor of doing things in our own economic benefit?